CLEAN! southern rust free 2011 Dodge 5500 Reg. Cab 4X4 SLT Cab And Chassis, 60in. 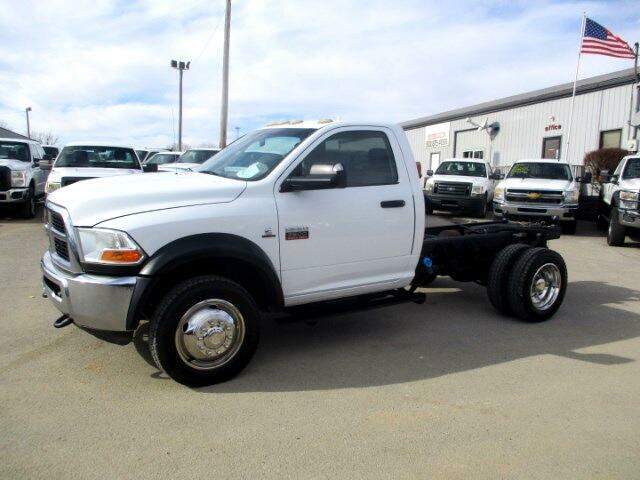 Cab to Axle, 6.7 CUMMINS DIESEL with EXHAUST BRAKE, auto., tilt, cruise, air, CD-MP3, keyless entry, power, heated, turn, fold out mirrors, steering wheel mounted controls, LOADED UP ALL POWER, Stainless Simulators, Tow Prep. PKG. w/brake controller, running boards, 50% Tires, fleet maintained. WE STOCK OVER 400 TRUCKS.